Worried you’re paying too much National Insurance? Read on to find out. There is what’s called an ”annual maximum” of national insurance contributions applying to every individual in a tax year. 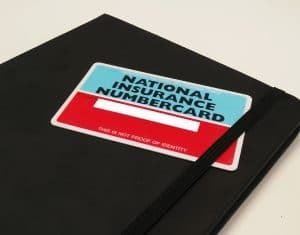 The most common scenario of an individual paying too much national insurance arises when they are working two or more jobs. It even applies to earners who are both employed and self-employed, thus potentially paying National Insurance Classes 1, 2 and 4. Charlotte had two employments during the 2017/18 tax year: a salary of £50,000 from working at Peace Hospital as a consultant and £45,000 from her consultancy work at Love hospital. During the 2017/18 tax year, Charlotte paid Class 1 NIC of £4,520 on her salary from Peace, and Class 1 NIC of £4,420 on her salary from Love. In total, that’s £8,940 being paid. When comparing this to the Annual Maximum, which is calculated as £5,331, it results in a National Insurance repayment being due of £3,609 – not an immaterial sum by any means. If you believe you’ve paid too much National Insurance, the first port of call is always to contact your employer. They may be able to refund you using their payroll system. Alternatively, a claim can be made directly to HMRC providing the necessary information is detailed. If the circumstances are a one-off, and it’s simply a case of requesting repayment for one specific tax year then that’s all that is required. However, should the circumstances remain broadly the same in future tax years then a claim for Deferment of NIC can be made. This simply means you would only pay National Insurance at 2% – above a certain threshold – rather 12% on one of your employments. HMRC would then have to grant the claim and would determine which of the employments this would apply to.